Crikvenica is a famous Croatian resort in the Kvarner bay at the northern Adriatic. With more than 120 years of experience in tourism, beautiful sandy beaches, plenty of sunshine a year and a moderate climate with mild winters and warm summers, Crikvenica is the perfect place for your holidays. 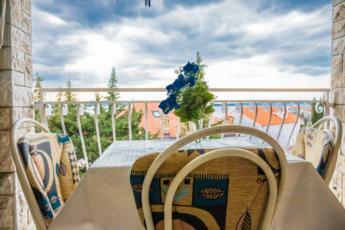 We are renting apartments in Crikvenica for many years and cherish the family tradition. 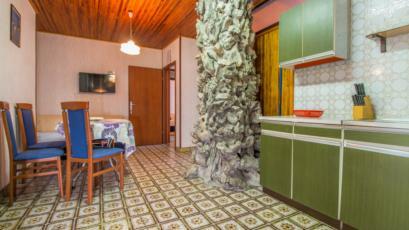 We offer nine apartments to choose - three more for 4-6 persons and 6 smaller studio apartments. 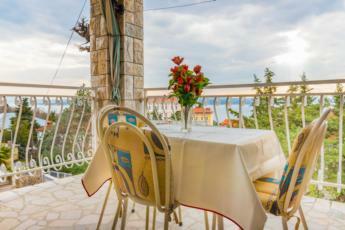 Six apartments have a beautiful seaview, view at the island of Krk and Kvarner Bay. The sea and a Crni Molo beach is about 350 yards away or about 5 minutes walk. All apartments are air conditioned. 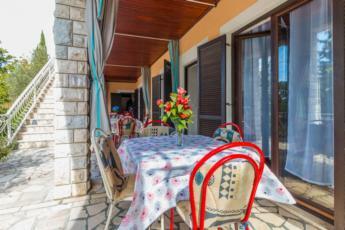 Spend your vacation or summer holidays in our apartments and enjoj sandy or peeble beaches of North Adriatic sea and beautifull Crikvenica. The apartment is located on the second floor. It has a balcony with table and chairs. 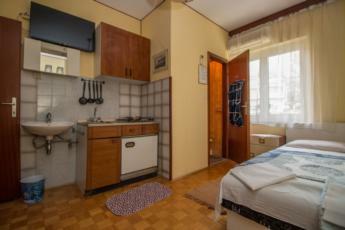 The apartment consists of a bedroom, kitchenette and bathroom. The apartment has an air conditioning, a TV, iron and coffee maker. Apartment is for 2-3 persons. The balcony offers a beautiful seaview. The apartment is located on the ground floor. It has a terrace equipped with table and chairs. The apartment consists of two bedrooms, kitchen, dining room and bathroom. Each bedroom has air conditioning. The apartment has a TV, iron with ironing board and a coffee machine. The apartment is located on the ground floor. It has a terrace equipped with table and chairs. The apartment consists of two bedrooms, kitchen, dining room and bathroom. 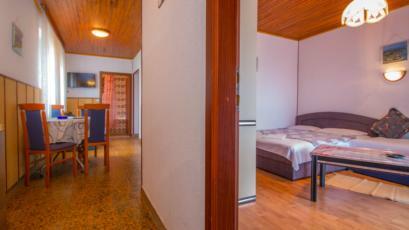 Each bedroom has air conditioning. The apartment has a TV, iron with ironing board and a coffee machine. Apartment for 4 to 6 persons. The apartment is located on the second floor. It has a balcony with table and chairs. 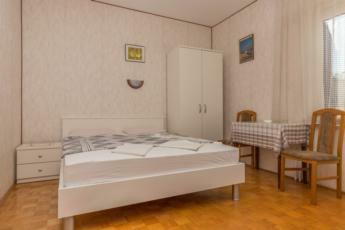 The apartment consists of a bedroom, kitchenette and bathroom. The apartment has an air conditioning, a TV, iron and coffee maker. Apartment is for 2 persons. The balcony offers a beautiful seaview. The apartment is located on the second floor. 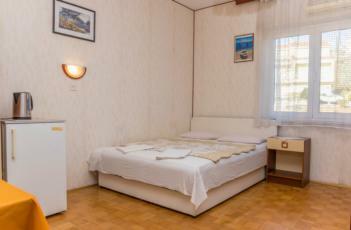 The apartment consists of a bedroom, kitchenette and bathroom. The apartment has an air conditioning, a TV, iron and coffee maker. Apartment is for 2 persons. Crni Molo sandy beach in Crikvenica is popular in this town expecially among younger population because it offers a lot of entertainment in beach bars and restaurants. Aromas of Mediterranean plants that are spread along the promenade will not leave you indifferent. The main city beach stretches from Hotel Miramare to the Crni Molo Beach. The beach is sandy with plenty beach activities and fun arround. They charge entrance fee until 17:00 h every day. There are bars and restaurants at the beach, a waterslide and showers as well. Balustrada Beach stretches from the center of Crikvenica precisely from the popular swimmingpool to the Main City Beach. The beach is pebbly and it is free admission. Deck chairs and parasols are not free of charge. Along the beach there are numerous bars, restaurants and ice cream parlors. Omorika Beach is located near the Hotel Omorika and town of Dramalj. The beach is pebbly and has many beach facilities. On the beach you can rent umbrellas, chairs and other equipment for the beach. Thank you for visiting our pages. 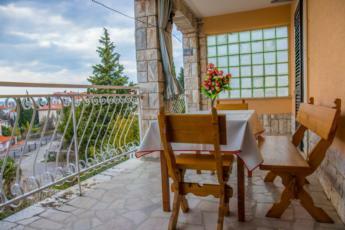 We will do our best to exceed your expectations and make your holidays in Croatia and in our apartments just fantastic. Hope to see you soon! © 2015 Apartments Mirjana Crikvenica. All Rights Reserved.